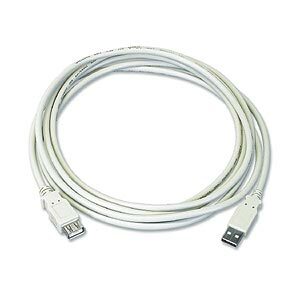 USB 2.0 cable - A female to A male. Put your USB devices where you need them with this USB 2.0 extension cord. If the cord on your USB keyboard, mouse, hard drive, scanner or hub isn't long enough, just add this extension cord. Provides USB 2.0 (480 Mbps) data transfer rates. Note that the total distance between USB ports cannot exceed 5 meters (16 feet).